Dubai presents many services for visitors, who arrive here for their business and vacations. You can get vehicles, connectivity and accommodations through websites and private services which offer dedicated support for these requirements of visitors. If you are planning to get accommodated in Dubai, then you get support of property finder Dubai. It is one of the best ways to have a home away from your home. You can use the whole area of the apartment, according to your need. You can take help of local apartment finding services in the city. The local services may alter their rates, but you can find good apartments at convenient prices. There are plenty of beautiful locations, which offer beautiful views, facilities along with reasonable accommodations. So, you can hope to get a very beautiful place for accommodation. Is it possible to rent an apartment in Dubai? The world sees Dubai as one of the most technologically advanced and probably one of the costliest destinations to reside. It is true that Dubai is an expensive city, but people still work here and live here. Dubai offers accommodation for everyone. It does not matter that you work for the Dubai government, private industries, or other services. You can find a perfect apartment for accommodation in this beautiful city. Of course, the rentals of the apartment will not affect your monthly budget, if you choose the apartment wisely. All you need to do is find an experienced real estate service in Dubai that can provide some great options for accommodation. You should depend on a reliable real estate service like EDRAJ, which provide its services as a reliable property finder Dubai. You will face no stress, you will get a perfect apartment in a perfect location without spending an expensive amount. Doesn’t it seem amazing that finding a beautiful apartment in Dubai can be such easy? It is amazing because Dubai has become one of the most impressive holiday locations now and it is also offering some great work opportunities. If you are planning a long feast with your whole family, then hotel services may strongly affect your budget. On the other hand, the rental apartments will be quite budget-friendly for you. You can daily plan a new trip towards the beautiful tourist destinations of UAE. You will feel like you are accommodating in your own home in such a beautiful city to spend a quality time with the family. There are plenty of charming destinations around Dubai, where you would love to spend some time. There are also some reliable real estate agents in Dubai, who work to provide quality apartments wherever you want. You will have a beautiful view and a fully facilitated apartment where you will get top quality services for your enjoyment, work and rest. Online rental services offer you many facilities, according to your need. If you visit at a reliable apartment site like EDRAJ, you will get a vast list of apartments located in or around Dubai. This list will be categorized according to services provided there. It is quite easy to check the facilities. You just need to click on the chosen apartment, and then you will be able to see the whole area of the apartment. 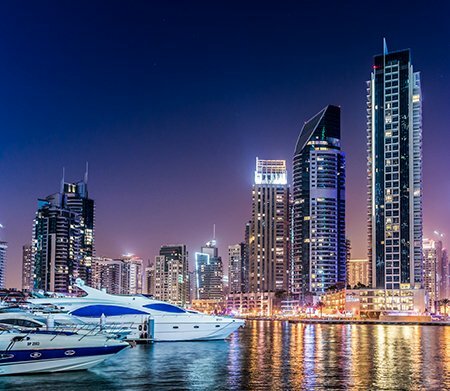 The online property finder Dubai provides complete details regarding the rental apartments like the location, interior, exterior, and facilities associated with the accommodation. Sometimes people get trapped by the services offered by an unreliable real estate agent, which charge too expensive price for providing apartments for rent. You should avoid their support and prefer online services. You can find many options as online real estate services, but many of them will direct you to any other rental site. EDRAJ is a reliable property finder Dubai service that has served hundreds of people till the date. It helps you in saving your time, provides some of the best options in the apartments that suite to your budget and accommodation demands. You will move to a new apartment within a few days because that long time the online apartment finder service will take to find the best accommodation for you. 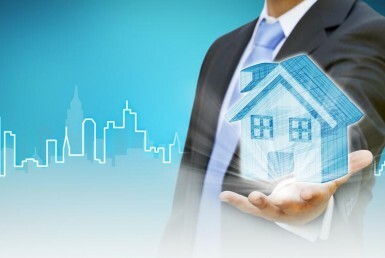 EDRAJ is one of the leading real estate agencies, based in Dubai. Unlike other real estate services, EDRAJ offers a good range of properties. You can choose from apartments, houses, townhouses, and villas. You can also rely upon this agency for buying your dream home in Dubai. Of course, you will get the best deal for an apartment that you have always dreamed about. Many people are using the services offered by EDRAJ’s real estate agents. Many of them have bought charming apartments in this Dubai and many others have found an impressive accommodation to spend their time in Dubai. How to Rent an Apartment in Dubai?